Likes: dolphins, surfing, loves the water, loves all kind of fish. Powers(must relate to god parent; optional): can withstand big water pressure, cant drown, talks to any sea animal, moves water around, doesnt get wet unless wants to, takes longer to burn even in lava. sorry there is so many but, I looked what percy had and took a phew compared to everything HE could do! Life Before camp half-blood: lived on a beach. drove my go- kart around the beach for fun when I was not in school, scuba dived also for fun, went on a boat everyday for lunch. Starting point (where you start in the rp): at the beach scuba diving. role play Example: *scuba diving faraway from my beach house* "What are you talking about?" 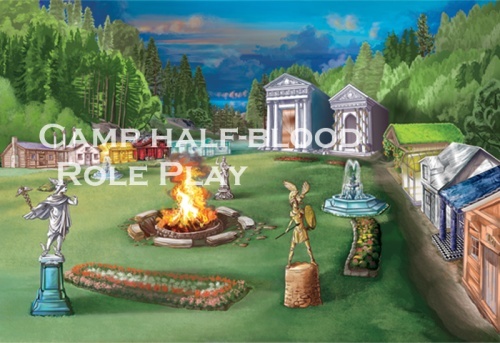 I was talking to a man i didnt know and he said somthing about a camp in half blood.Turned out the camp was called camp half blood. I didn't know what the man was talking about so he said follow me.